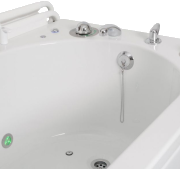 Astor Bannerman manufactures a wide range of care solutions specialising in adjustable bathing and hygiene equipment. Astor-Bannerman’s high-quality products can help to improve the everyday lives of people with a wide range of care needs in a variety of care environments. With a dedicated in-house design and manufacturing team they are able to offer a range of products in various flexible sizes with a range of additional options to help customise specialist equipment to suit the needs of the users. 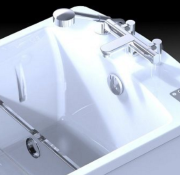 This extensive range of assisted baths includes the ONLY WRAS compliant bath designed specifically for dementia bathing. 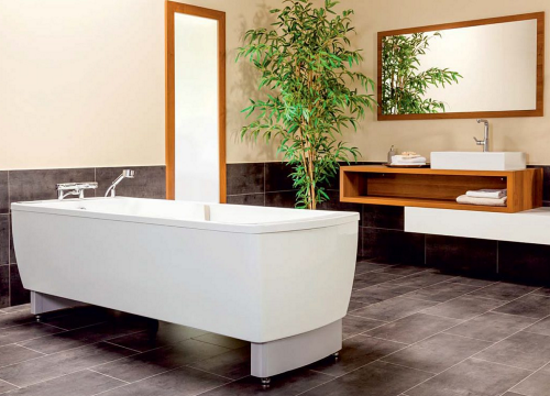 The Avero Comfort baths are available as height adjustable or fixed height in a range of colours to suite any bathroom design. The Motion reclining bath combines a contemporary appearance with practical performance whilst keeping the needs of the client and care giver paramount. The Compact Plus bath range offers safe comfortable transfers and includes integrated powered seat, lap strap and nursing arms. 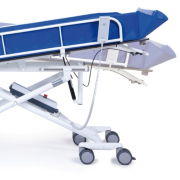 The AB Multicare height adjustable mobile shower, changing and treatment trolley provides a safe, secure comfortable shower/changing bed and is made of coated Stainless Steel.